However!!! After all that rambling I finally do feel some motivation coming back to me. It has been reinvigorated by the upcoming Underworlds grand clash at the Birmingham games expo end of May. I’ve bought my ticket and want to take my Gobbos again. I didn’t win best painted last time which I was gunning for, so that’s my goal now for the event (as well as placing top third if I can). 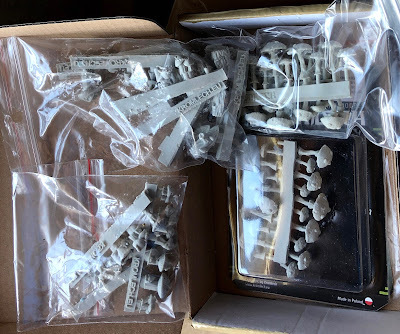 I want to do something a bit special and do a little display board for Snikkits Mob. I know this is something I have spoken about in the past, but now it is becoming a reality and I’ve made a small start. 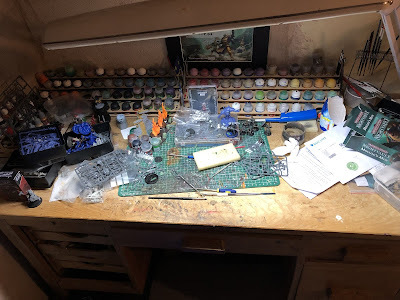 I have collected and bought a few bits & pieces and the project is now underway! 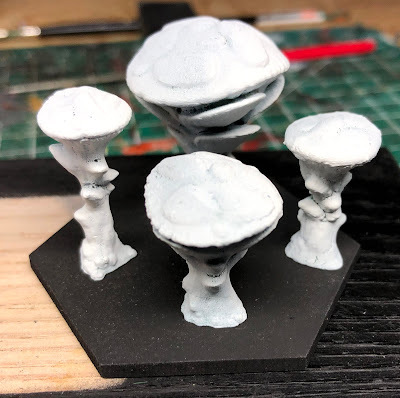 I am planning on a mushroom forest, with large toadstools and mushrooms in the rear (mounted onto mdf hexes so I can use them as blocked hexes in game too). I’ve sourced some 3d printed mushrooms from a company called dark fantastic mills, which are pretty darn cool. Now with anything 3D printed there are print ridges as each layer is made, and I am too much of a perfectionist to let that go, so I’ve covered all the mushrooms in liquid green stuff (multiple coats) to soften these somewhat. , and then sanded them down as much as I can. 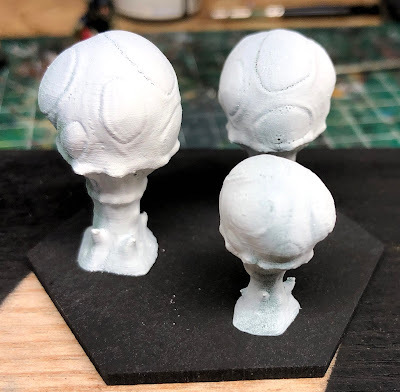 The ridges haven’t completely disappeared but it’s enough to make them look more natural and organic, and once painted it will not be very noticeable which I am fine with. 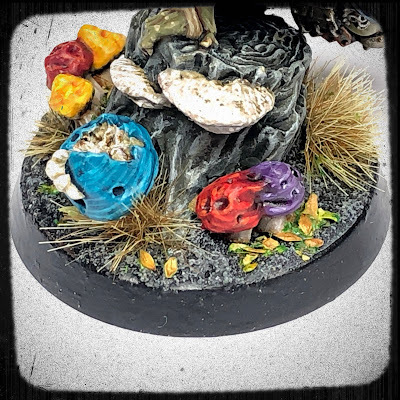 I’ve also sourced the same mushrooms I’ve used for the Gobbos bases from Kromlech, which will be completely covering the open areas in the middle and front, tying in the models to the display base. I will also be building up the board around the bases of the models and terrain hexes so the whole thing is seamless in its appearance, but they all can still be removed for functional gaming purposes too (I’m all about functionality for my models. Their ultimate goal is to look cool on the tabletop, not as pure display pieces, I’m not good enough for that).